In celebration of Women's History Month, we interviewed Zucot Gallery artist Georgette Baker to learn about her as an artist and the inspiration behind her works in the #PROUDBLACK exhibition. She reveals her perspective as an African American female artist working in an industry that is predominately white and male-oriented. Read her thoughts below. Q. All of your pieces featured in the #ProudBlack exhibit are collage. Do you only work in collage? If so, what motivated you to work exclusively in that medium? A. Collage is just one of the mediums that I chose to work with. I also paint in watercolor and acrylic. I enjoy collage because it allows me to tell a story by pulling bits and pieces of unrelated materials together. Our personal stories are told in a similar way. Q. What inspired the decision to work outside of the usual paper based medium and use materials such as the found objects in the collages ’Connections’ and 'Links"? A. 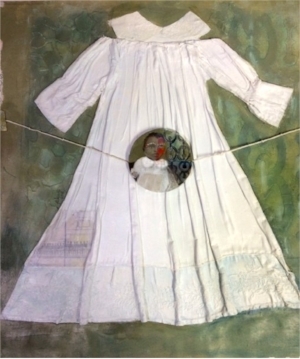 In addition to working with collage, it’s interesting to work with other materials such as the infant’s garments, ropes, nails and twigs which I have used in my artwork. Q. What does it mean to be an African American female artist occupying the fine art space? A. I think it has dual meaning with implications both for present and future. It is a great responsibility and privilege to have an artist’s voice and to be able to speak on issues that impact us. Additionally, it is important to remember that as we perch on the shoulders of the old masters and walk paths that have been cleared by others; we have a great responsibility to our audience and to the artists who will come along later. Q. What advice would you give to young female artists trying to break into the fine art space? A. Three basic tidbits of advice; first, you have to find a way to support yourself without compromising your value and your creative voice. This is a very precious possession of a serious artist. When you find yourself marching to the beat of someone else’s drum….well it’s just not your music or your drums, so your creativity suffers. Secondly, I would say that you should plan a space and time where you are able to create each and every day even if it’s only 30 minutes. This time and place should be used for meditation or for the physical act of creating or journaling. It should be your own private space that you share with no one else, not even your most intimate partner. Third, spend your time wisely because like waters that flow over pebbles in a stream bed, those same waters will hardly flow over the same pebbles again. 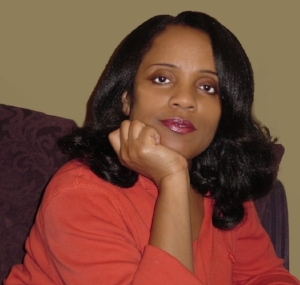 Georgette Baker is a full-time studio artist living in Atlanta, GA. She has a background in studio art and graphic design, and graduated from Marygrove College of Detroit (1986) with a B.A in Art. Georgette was introduced to the collage medium in 1981 while a student at University of Detroit-Mercy. View more of her work here https://artcld.com/artist/georgette-baker. #PROUDBLACK, ZuCot Gallery, Black Art, Atlanta Art, Come. See. Collect.